KUALA LUMPUR: After launching what it termed a “rapid expansion” in China late last year, Malaysia Airlines Bhd is optimistic about its outlook for the market, with its chief executive officer Peter Bellew describing the market as offering “the biggest growth potential I have ever seen”. “I have never seen a potential in my life like there is from China to Malaysia. The market from China to Malaysia … I think people just don’t grasp the size of the opportunity for tourism in this country. It could easily double within the next six to seven years. “I expect [the] China [market] to move from 8% to 9% of our business currently to about 20% in the next two to three years,” Bellew told the media on the sidelines of Invest Malaysia 2017 yesterday. Last November, Prime Minister Datuk Seri Najib Razak announced the airline would start serving eight new destinations in China from this year via 11 new routes. The eight new destinations are Haikou, Nanjing, Fuzhou, Wuhan, Chengdu, Chongqing, Tianjin and Shenzhen. At the time, Bellew said the airline planned to triple its Chinese business over the next five years, and that he saw potential for direct flights to 20 Chinese cities from Kuala Lumpur, Penang, Kota Kinabalu and Kuching by 2019. Yesterday, Bellew said he also sees growth potential in countries like Japan and India. Asked about Europe, Bellew said opportunities in China and emerging Asia now are greater in comparison. “[But] we are always up for London. [We are] actively looking at Amsterdam and Paris, but the numbers just don’t stack up right. For now, let’s focus on things that are realistic,” he added. 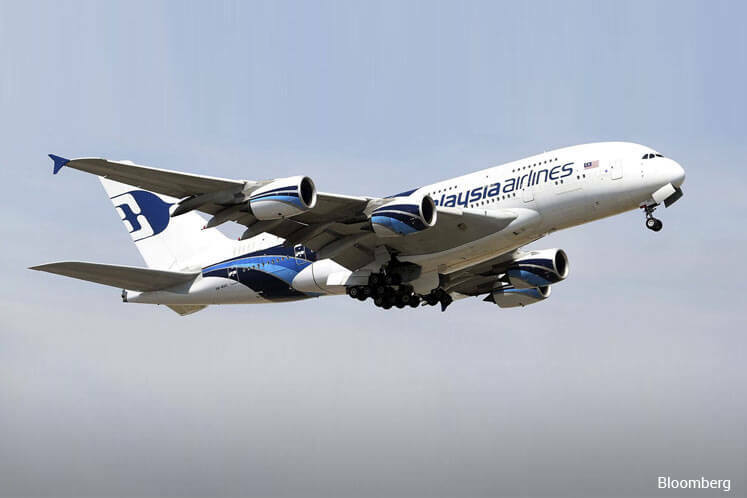 Bellew also shared that Malaysia Airlines will continue to focus on international routes, and will not be drawn into a price war for the domestic market. He also reiterated his expectation for the airline to return to the black by 2018, and be relisted on the local stock exchange by 2019. Asked if he would continue his role once his contract expires in 2019, Bellew said Malaysia Airlines has many great local talents who are capable of taking over from him.